Customers should purchase concrete mixer according to each type of twin shaft concrete mixer’s daily productivity. 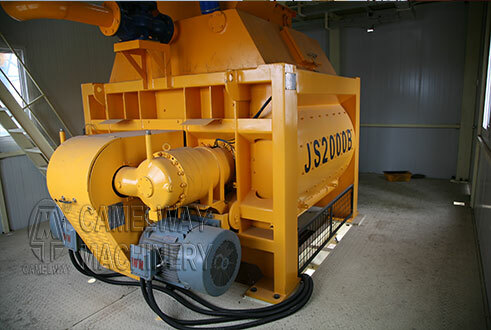 Users can find suitable twin shaft concrete mixer according to their needs. In the basis of concrete mixer’s working principle, twin shaft concrete mixer adopts two shafts to make reverse mixing. According to basic layout principle of twin shaft concrete mixer, the distance between shafts and the hole in its outer covering should be 4~10mm. Thus, the materials of twin shaft concrete mixer are often rubbed and mixed. Nowadays, some concrete mixer manufactures have realized this question, and improved the concrete mixer. The distance between shafts and the outer covering is reduced to 3mm. The other choice is users can change the positions of mixing shafts and outer covering according their need.